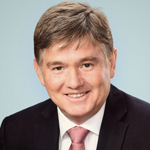 Murray Bell is the Chief Executive Officer of Intergen Property Group and Intergen Property Partners. Murray’s key responsibility is to lead Intergen Property Group to ensure that we invest wisely for our valued clients. With 30 years of experience in the industry, his key areas of expertise include the leadership and management of multi-billion-dollar property portfolios across Asia Pacific and the Middle East, for owners and managers and funds under management. 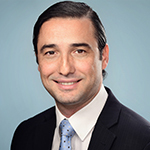 He has previously held senior leadership positions with Lend Lease Retail, AMP Capital Shopping Centres and Jones Lang LaSalle across Asia Pacific and the Middle East. With over 30 years of experience in leading large teams in property, Murray enjoys motivating and growing the team to ensure exceptional outcomes for our clients. Trevor Hardie is the Chief Executive Officer of I-Gen Funds Management. With over 30 years of industry experience, Trevor has extensive funds management expertise in Retail, Office and Industrial property sectors and is responsible for strategy, financial and investment performance and transaction evaluation and execution. Trevor joins I-Gen Funds Management following 15 years at Challenger Limited where he managed listed AREIT Challenger Diversified Property Group (CDI) with a marker cap of $600m, total assets under management of $900m and total annual revenue of $70m. Not only does Trevor possess a wealth of funds management experience, but he is also happy to share his rich life experience, as a well-read and well-travelled aficionado of AFL. 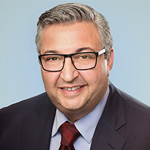 Dennis Kalofonos is the Capital Transactions Director of Intergen Property Partners. He not only pioneered the buyers’ agency industry in Australia, he is also a highly regarded thought leader in the property sector. Dennis founded residential and commercial buyers’ agency, Sydney Property Finders in 1999 and tirelessly built this into Sydney’s pre-eminent advocacy service for property buyers and lessees. Over the years, repeat client business has resulted in over $3.28 billion worth of transactions. Sydney Property Finders has recently evolved into Intergen Property Partners and Dennis is now responsible for delivering quality assets to funds, syndicates and individual investors to protect wealth through property for future generations. He will also continue to develop and maintain close bonds with investors, selling agents, property owners, developers and bankers. With over 30 years of experience in property services and a ‘family first’ ethos, Dennis will continue to inspire and mentor all our stakeholders to benefit the generations to come. 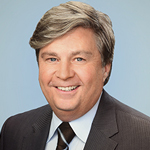 William Keaveney is the Manager of Investment Analysis at Intergen Property Partners. In managing the analytical functions of the business, his team assist our clients in assessing opportunities, managing risk and making the best possible property decisions. 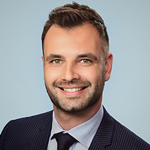 William ensures that Intergen Property Partners undertake market-leading investment analysis, acquisition pricing and financial due diligence across office, retail, industrial, serviced apartments and student accommodation sectors in Australia. With over 14 years of industry experience, William is responsible for delivering high quality financial modelling, performance analysis and opportunity evaluation. The deliverables in turn inform and support our Acquisitions and Asset Management team, and allow us to provide tailored solutions for our clients. William’s honed skill base stems from previous roles at TIAA Henderson Australia and Challenger Limited where he was a key member of the acquisitions team that successfully priced and acquired approximately $2 billion of direct commercial real estate. He was also heavily involved with the security evaluation that resulted in more than $1.5 billion of real estate debt placements. 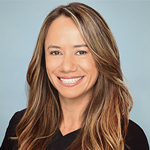 Donalee Cohen is the General Manager, HR & Marketing at Intergen Property Group and leads Intergen Property Partners’ Strategic Direction, Human Resources and Marketing Departments. Donalee was co-founder and General Manager of residential and commercial buyers’ agency, Sydney Property Finders for 16 years. She played a vital role in building on the knowledge, expertise and relationships nurtured with their valued clients to help transform Sydney Property Finders into Intergen Property Group. Donalee is responsible for corporate governance, HR and marketing and communications. Very much a ‘people person’ with a strong focus on culture, Donalee will ensure that Intergen Property Group remains at the forefront of industry initiatives in research, business development, training, technology and service delivery. As an Asset Manager at Intergen Property Partners, Brett Ford is responsible to manage a portfolio of commercial assets for our valued clients. Brett’s key areas of expertise include property management, quality assurance, leasing, property safety and delivering value add to the portfolio. As well as completing a Bachelor of Science with Honours, he has held various industry roles including Senior Property Manager and Senior Portfolio Manager over the last nine years. Brett’s depth of experience both in Australia and the UK and his community-minded world view make him an invaluable member of our Asset Management team. 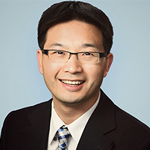 Louis Li is the Finance Manager at Intergen Property Partners. In this capacity, Louis is responsible for the day-to-day financial operations of our business. He manages our commercial property trust accounts, as well as accounts receivable and payable. He also assists the funds management team with accounting administration and corporate governance. Louis is a Certified Practising Accountant and holds a Masters degree in Professional Accounting, both of which have equipped him with a high level of skill and expertise in trust accounting, financial analysis and financial reporting. He is also well read and well travelled which makes him a highly regarded member of our team.